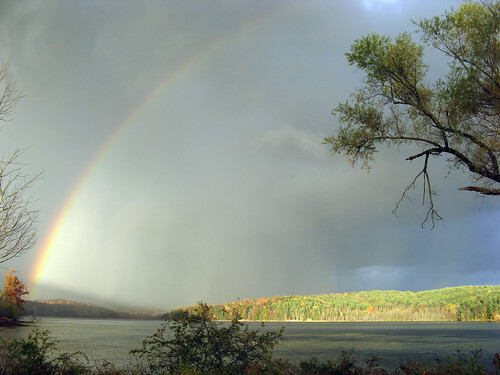 rainbow over mudge, originally uploaded by jahansell. I think I want to tinker with this a bit more in photoshop to make it more dramatic - this is straight out of the camera, and doesn't come close to capturing how intense that rainbow was! Excellent catch. This would have made a fantstic skywatch post. Wonderful colors inside and outside the rainbow !